SPX Flow’s Corpus Christi Service Center. 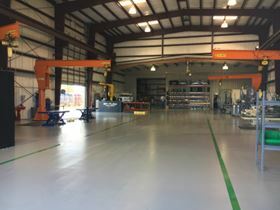 The SPX Flow Service Center will offer aftermarket solutions to regional oil and gas and industrial clients and to new customers. These aftermarket solutions will include rental & sales of controlled bolting solutions along with repair & service of pumps, mixers and valves, as well as offering OEM spare parts. The service centre will also offer upgrade and re-rate solutions for pumps, mixers and valves.